My ankle's lots better so I'm now mobile again, and I'm really appreciating it. Every gleam of sun there is, I try to go somewhere new and reasonably near home. Surprising how many places there are. 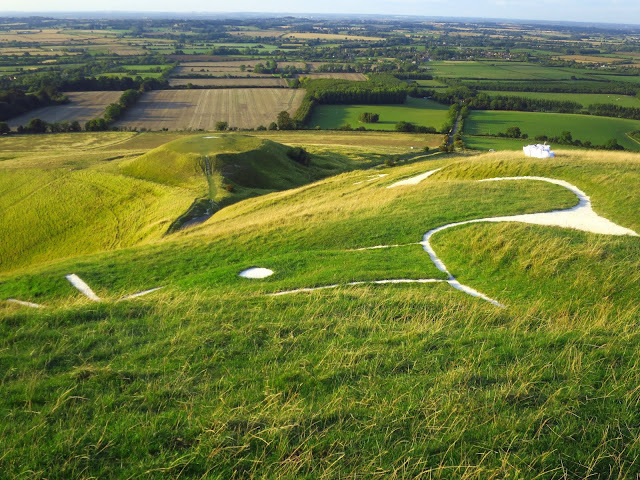 A couple of weeks ago we spent a couple of days near the prehistoric White Horse at Uffington, Oxfordshire. You reach this curious creature by walking down a long track over the open downland. It is a very open, empty landscape, even though it is not far from London, and the slightly lonely walk to the White Horse (which is on the most distant hill in the picture, and no, you can't see it) got me into the mood for considering what might have been going on here in the Stone and Bronze Ages. 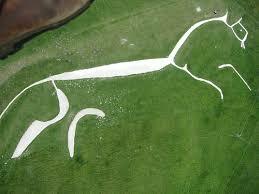 Nobody knows for sure what the history of the Uffington White Horse is, but it's thought to be neolithic. I'd have taken a photo of it except that there isn't any spot nearby that has a proper view, and you have to go a long way away to be able to glimpse it at all. That alone makes me think it must be very old, perhaps magical, otherwise why spend all that effort on something which will not be completely seen by ordinary mortals? If you look at the photo above you can imagine me standing at the top right, just above the dot of the eye, looking downwards. The picture below is what I saw. The more I looked over this landscape, the stranger it seemed. That flat topped hill in the centre of my photo, for instance. The hill was formed by nature, not by man, but its flat top has been deliberately created. Yes, people so primitive they probably didn't even use wheeled vehicles cut off the whole top of that hill and carted it away. Archaeologists think that the hill was the site of important ceremonies. I don't see how we will ever know, but its name is Dragon Hill, and if you know anything about English place-names, you'll know that most of them have a reason for being called what they are. Dragon Hill's name relates to the legend that St. George killed his dragon there. The white patch where nothing grows is where the dragon's blood was supposedly spilt. Just to the left of the hill is a weird valley with what looks like pleats down one side. I have never seen anything else like it in the area, and there are no streams running down the gaps. The only geological information I have found about it suggests that it was formed by melting ice, but nobody seems quite sure. It is known as "The Manger" and the horse is supposed to come down from the hill to eat from it at night. You will by now have gathered that something extremely major was going on spread over a very large part of this landscape in 2-3000 BC or so. 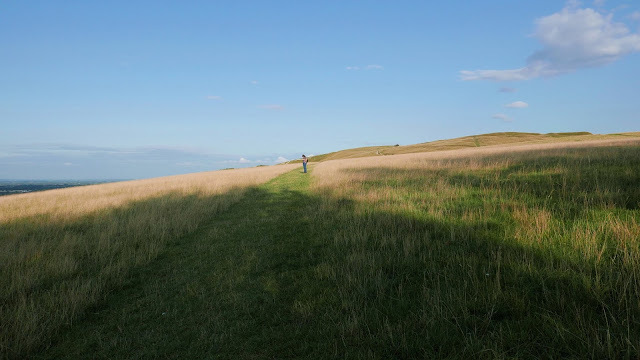 So, after climbing the White Horse we decided to visit Wayland's Smithy, a long-barrow tomb also dating from the neolithic period, which is about three miles to the southwest and down a rather lonely path. Mike's A Bit About Britain blog had made me want to visit the area, and it has more information on this and other neolithic sites in the area if you want to read it. One of the large stones making the tomb mouth has a very strange, though not unfriendly presence that looks vaguely like an animal or fish. 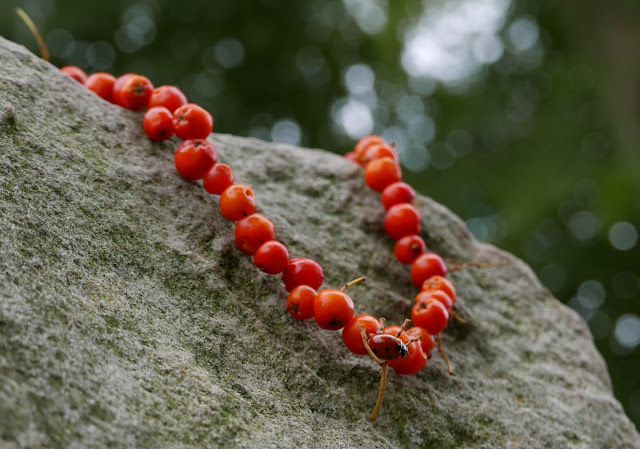 I noticed that a stick had been placed in its "mouth" (you can probably just see the stick if you look hard) and a necklace of rowan berries had been carefully draped over its "head." The rowan is one of the most magical trees in English folklore, and the berries for this necklace had been deftly threaded on what looked like slender stems of twig and dry grass. Not surprisingly, modern day nature worshippers, witches and druids are fond of these sites, and it is interesting to glimpse their beliefs. There are several legends associated with this particular neolithic long barrow. Mike cites one from Saxon times (pre-1066 AD) that concerns a Saxon god derived from a Norse creature called Völundr, a supernatural weapon maker. But of course legends don't really explain these neolithic tombs and monuments. Like the St. George and the Dragon story, they are later attempts to explain features which had already existed for thousands of years - for let's not forget the neolithic people were much more remote from the Saxons in time, than the Saxons are from us, and even more of a mystery. To the Saxons, these places might well have been put here by their gods. Anyhow, as we lay on the grass beneath huge old beech trees, it did indeed feel like a magical way to spend a late summer afternoon. 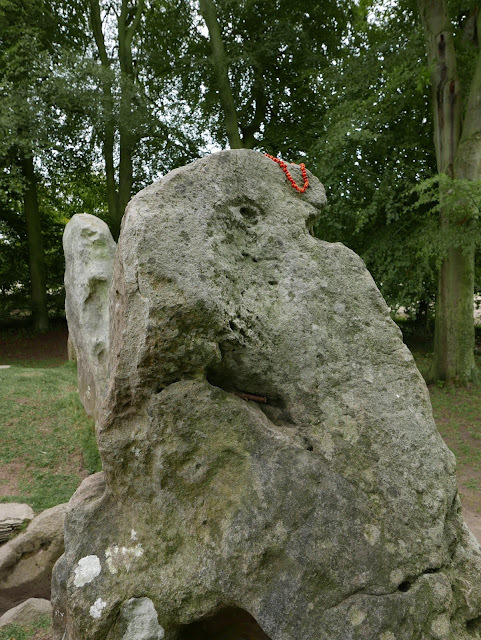 Next day, still on the neolithic trail, we went to Avebury. We stayed, by the way, at a very nice community pub in nearby Hungerford Newtown, which I thought I'd mention in case you are ever passing. It's called the "Tally Ho!" and after at least 150 years as a pub it was all set to close down when the locals decided to club together and buy it. 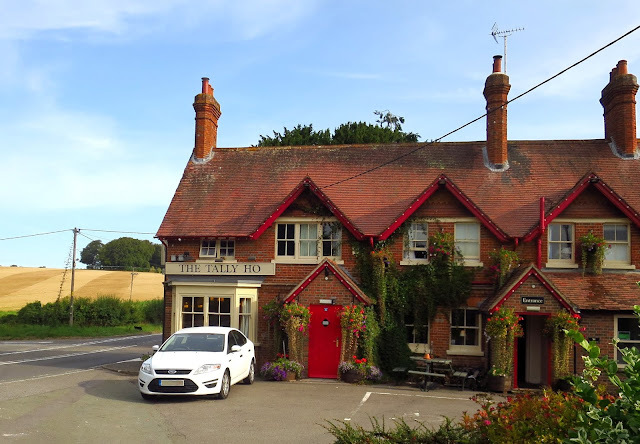 So they did, and now it's a friendly, cosy pub, popular with locals (who of course have more than a passing interest in how well it does) but also with very reasonable prices for any of the three very nice bedrooms upstairs. 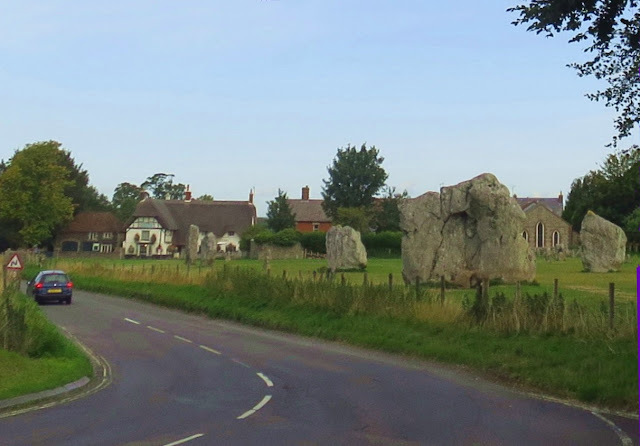 So, onwards to Avebury. You only have to drive into the village to spot the boulders. This picture of Avebury village from the air shows that it is in the middle of a giant earthwork (photo from the wonderful Aeroengland site). This makes it clear that this was an important part of a gigantic ritual landscape, which spreads many miles from the village. 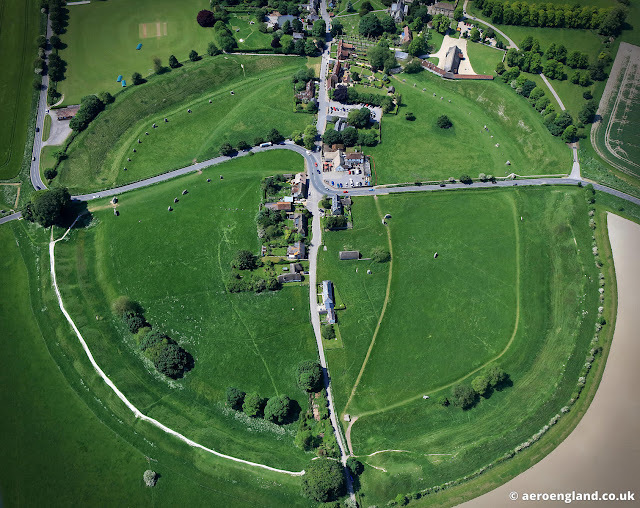 It may not surprise you to know that Stonehenge is only a few miles to the south of Avebury. So, what with the White Horse, the long barrows and the stone circles, it beggars belief that stone age people were able to create something on this scale with their antler-picks and leather ropes. As I was wandering around all this stuff, a song which my son in law wrote last year was going in my head and I was humming it. "If you seek then you will find." He is fascinated by ancient landscapes and folklore, and particularly the many chalk horses (none of them like Uffington, though) that are found in the area. I thought you might like to hear it too. While in Avebury, we also visited Avebury Manor, which really deserves a post to itself, so I'll tell you about it in a few days' time. Let me just say for now that seven years ago this gorgeous, ancient but empty manor house was put into the hands of historians, BBC set designers and modern craftsmen, and they re-interpreted its interior to create an immersive experience of the manor's life through the ages. I have even found a clip of the first episode, which screened in 2011. With autumn just beginning, it has been so nice to be in the country. I expect the Neolithic folk picked and ate blackberries, and watched butterflies too. How exciting Jenny. I have occasionally seen photos of this white horse but never heard of anyone visiting. You give us a good idea of how it is located and the actual size. It is a very stylish 'drawing' indeed, rather like a modern abstraction. Of course, abstraction can be found in many ancient works of art. It is intriguing to wonder what was its purpose, as well as that of the Dragon Hill. It looks like a great pub for spending the night, and I'm sure you enjoyed your adventure very much. 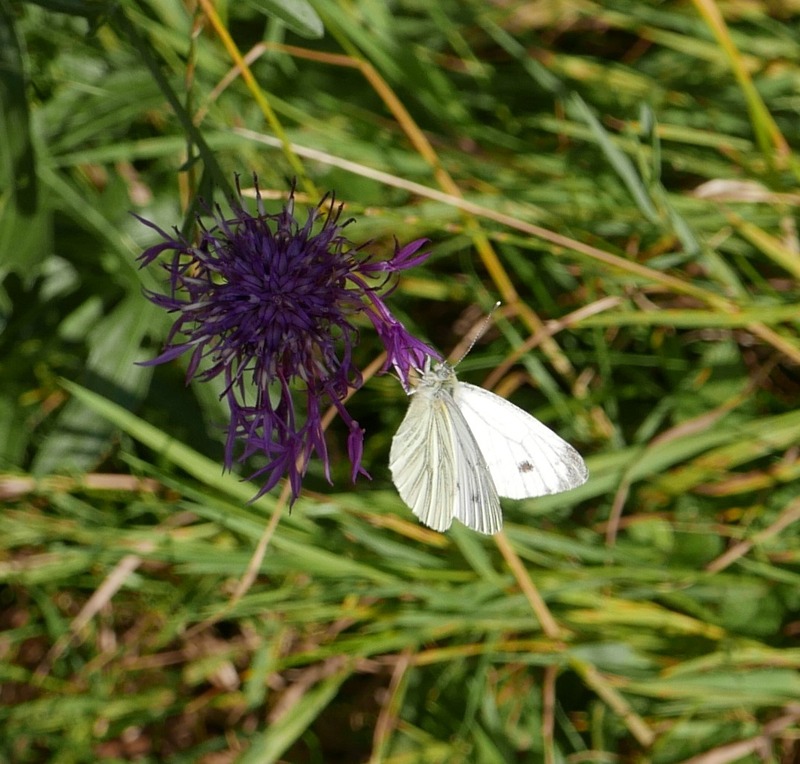 Yes, the strange thing was that I had not fully appreciated how widely all this stuff was spread in this area of England until I actually walked the paths. Someone said the drawing reminded them of Miro and I think I agree with that! You do get about don't you? It's amazing to think there are so many wonderful things so close to where I live too, and yet I don't bother to see them. I really need to make the effort, but at least I have your photos to look at instead! What excellent, absorbing travel writing plus photos. From the little that I know or can guess, I do believe the 'pleats' are made from running water. So yes, it seems possible that meltwater from receding glaciers might very well have done it. That's the explanation which is given in the books, (actually they say it is "thought" to be caused by that, and I admit I don't know enough about the geology of the area to draw my own conclusions - apart from that the landscape is basically chalk. I've not noticed the feature anywhere else locally. Jenny, this post is so timely! As I was looking up things to do in Bath, one thing Rick Steves had recommended were the Mad Max (and other) day tours. There is one that goes to Avebury, I think they even mention the white horse. I've been considering it -- this post makes me all the more curious. Counting down! Oh, and I love the song -- your son wrote it? Seriously talented! I'll tell him you like the song - he will be pleased. He's my son in law, very nice guy. Looks like a great place for a walk and picnic. Why? How? Was magic involved? Aliens? What in the world could have inspired these people to create these images, to place these boulders? I'm always astounded at what peoples of the past could do without anything approaching modern tools or equipment. I just imagine laying out those avenues which run for miles. And yes, I've always wondered about those nasca lines. I guess that people for all their faults have always also had a tendency to think big and strive to connect with something bigger and grander than themselves, and I'm glad some of them chose to do it in a way that would live for thousands of years after them. Thank you for the trip. It is so fun to tag along to places I'll never get the chance to see. Remarkable! Yes, "remarkable" is a good word, it really is. I'm glad you enjoyed the "trip"
You've visited some of our favorite places, have visited each of them many times. Great photos. Glad I could jog some memories! What a magical trip!! Thank you! Oooh! I know exactly where you were! This is such an intriguing and interesting post, Jenny. The White Horse and Wayland’s Smithy are marvelous. I also like that the townspeople took over the pub. History should be preserved. I always think that history grounds us and connects us with ourselves. One of the things that educationalists are starting to forget these days but a feeling that is still very strong in England. I do wonder if they had horses round here in Neolithic times? In biblical times, say a thousand BC they used Asses few had horses though some think Troy was attacked because they made money from horses. Neolithic goes back much further. The diet would be good, not just hunting and gathering, Richard Pryor's books tend to show a more settled lot than we used to think. Super works they made, the 'horse' being one of them. Stone age man was incredibly clever. Standing stones might represent he dead, indicating 'this is where we come from.' Some form of root to stake your place in the world possibly. Very difficult to comprehend now. I am glad you are out and about, it does us all good, and you will be a much happier person, in spite of the Westminster nonsense. I love the idea of standing stones representing the dead. When I was in Japan I was sometimes taken aback by the "presence" of some of the stones in shinto shrines. The idea is that they represent the spirit of the place (I think - not that I'm exactly knowledgable about shinto). But you do almost feel they do. And I felt that about the stone at Wayland's Smithy. That's a great idea. I never thought about whether they had horses then, somehow I think of oxen. Makes me realise how ignorant I am about the past actually. Yes, you are definitely right that it's better to be out and about, nice to remember that there is a world out there that has been getting on with it for an awful long time! What fascinating sights! The ancients were quite capable and wise, and did some things we cannot replicate. The last thing i want to be is a chronological snob and think they were primitive, because they were not. Their technology may not have been as advanced, but their brains and thought processes certainly were. I agree with you. They were the same and yet their lives so different, I wonder how they accommodated the difficulty of their lives, but I suppose, as with most things, they were simply used to it. I do often think about them. More in heaven and earth than we will ever know. And beneath the earth. In another life I will be an archaeologist! It gives you a different perspective. My cousin is an archaeologist and it makes say 1920 look like just yesterday sometimes, talking to her. Wow - what a fascinating and intriguing post! I've never heard of white horses before and I've never seen another landscape quite like that. It' mystical. I especially like Dragon Hill and the legend associated with it. By the way, I agree with your observation "Is it really a horse?" It does resemble a horse, but it could also be another (mythical) creature. I like your son-in-law's song. I'm glad your ankle is better and you're able to get around. Thanks Jon. 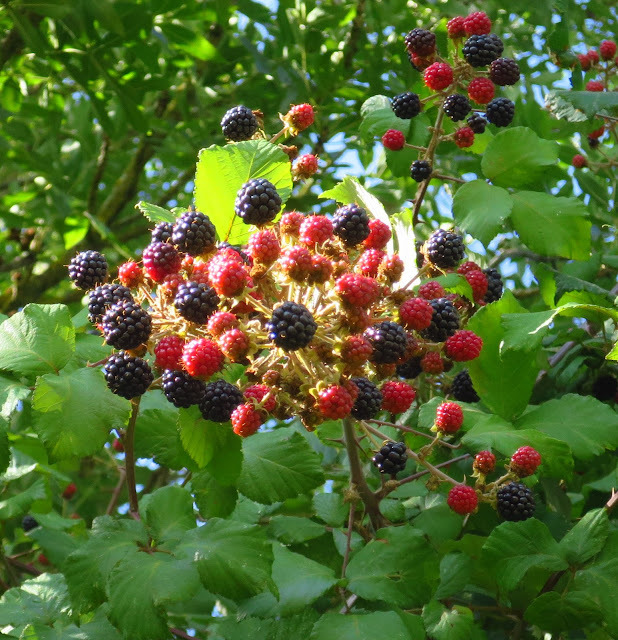 And the blackberries are good. I'm surprised that many people these days don't realise they are safe to eat. I've frozen a few boxes and they have such a good flavour that even a few adds a great taste to other things. Worth all the scratches from their thorns. It is always kind of frustrating to realise we're extremely unlikely to know what all this stuff means, I like there to be an answer at the back of the book.... ! I live and learn on your blog. Considering I live so near I am ignorant of history but appreciative of your blogs to keep me informed. Music too, which I listened to. Thank you, Jenny, and I am glad your ankle is good again. Hello Jenny, Your photos and story taught me so much about these fascinating neolithic sites in England. They certainly make you wonder about the people who came before us and how they lived. There are large-scale aboriginal works in the States, also. Southern Ohio is particularly rich in old Indian mounds--it amazes me that some have been leveled or developed over. One that we visited near Marietta is now a cemetery--both appropriate and ironic since it was originally an Adena Indian burial ground. I didn't know about the large scale aboriginal works in the US. I was once on Vashon Island and saw a really curious site - lots of little hills which looked very intentional. I have never been able to find out what they really were, but there was a little sign saying it was a native American site. Nice to know that locals rescued the Tally Ho pub when it was set to close after 150 years. It's extraordinary to think that Stonehenge was constructed without any of today's advanced tools, cranes etc. The same goes for all the cathedrals. Is the White Horse actually a horse? It's certainly a bit ambiguous. It looks like something Joan Miro might have come up with! Yes, just like Joan Miro! 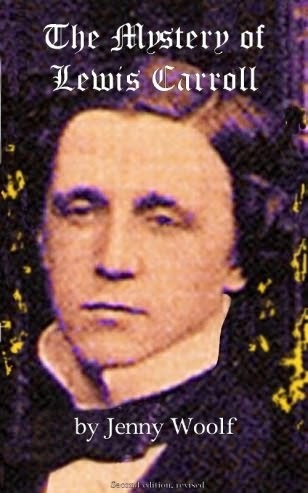 Strange to think of it being so impressionistic so long ago, isn't it! I've been in and out of Blogland so much today and read this post twice as I kept getting interrupted. If I've already posted a comment please ditch this! As is so often the case with your posts they send me off chasing Wiki or Google. That is, of course, a Good Thing (with apologies to Sellars and Yeatman) but it does rather end up with me losing focus on the post I as reading in the first place. No, you didn't leave another post Graham. Like me, you obviously go here and there, spending time composing replies and then feeling it hardly seems worth coming back and actually posting them! i m so happy that by the grace of dear Lord you are fine now and moving freely ! thank you sooooo much for the uffinton white horse glimpse!!! never saw as interesting and amazing thing like this before! 3000 years old? oh my goodness this is so strange and how weird that nothing grows where the blood of horse was split ! 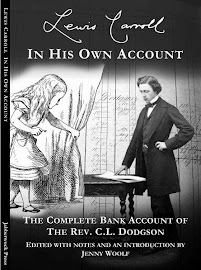 story sounds interesting yet little creepy! loved the first photo which gives the idea of of open wide area so nicely and horse shape is really something unusual ! Thank you Baili! I don't find it exactly creepy to think of the old legends, but I do think they have a strange power! Very intriguing! I love ancient mysteries like that. And yet so frustrating in a way... ! Dear Jenny - Touring along the Neolithic trail sounds interesting and Avebury is a wondrous place. I like its simple vastness of the circle with remaining stones and the hidden mysteries. Stones and “circle” are also the key to solve Archaeological puzzle in Japan, too, like Asuka, south to Nara. Tally Ho! looks so lovely. I wonder you looked outside from which window of the three upstairs? I also like musings about the ancient people; what they felt the weather or what they ate. Oh I wish I had seen Asuka. I feel a great connection with ancient peoples and natural things. The Tally Ho! was really comfortable, and they had tried hard to think of everything you might want. My window was not at the front, it was at the back, where there is a small lane. I overlooked an interesting building, which used to be an old chapel but had been converted in to a house. it still had stained glass windows of many different colours. I want to visit the places you have visited, too. The white horse is very big. It has been running over times since it was made and to the future. Ancient mysteries make us modest to observe the world. Yes, the horse does run through time and seems all set to keep going as the future comes to meet us. That's fascinating. I love prehistoric sites like that where we can only guess about the meaning of things. I was really taken by the beehive huts in Ireland. I have never seen them but I really liked being in Glendalough. One of these days I want to take a tour of the archaeological sites in Ireland. When I was there last year in Co.Cork I bought a great postcard of Irish archaeological masterpieces and have it up on the noticeboard for inspiration! We, the readers, certainly are the beneficiaries of your regained mobility, Jenny. A very interesting post with terrific photos. A few different images can be drawn from that rock, to my way of looking at it..."ways" of looking at it. Fascinating, to say the least. Hello! So much mysticism in your post Jenny. Berries of mountain ash, a stick in the mouth of an animal, a hill without a top, and finally a white horse. And were there horses in the Stone Age? Maybe it was a dinosaur? I am frightened of such things, although probably with pleasure I would have walked through the hills in this desert area. Good for you, you explore interesting places. Thanks for sharing! Yes, it is full of mysteries. I think it is so long ago that it is not frightening any more, because we do not know what it means. But it is powerful, all the same. I am glad you enjoyed reading the post! I love this area Jenny. I have been there twice, and will hopefully go again next time I visit the UK. Thank you for the tour. It was wonderful to remember the place. Did you read about the Barber's stone?